Some of the power generation technologies popular in today’s market are gas engines, steam turbines, micro turbines, gas turbines, micro CHP, diesel and gas generators, nuclear power reactors, small wind, and concentrating solar power. Steam turbines, for example, generate electricity via thermal energy from fuel to raise steam. The thermal energy of the steam is transformed into kinetic energy in the turbine which is then converted into electrical energy. Similarly a gas turbine is a combustion engine that transforms natural gas or other liquid fuels to mechanical energy that is then converted into electrical energy. The top 10 power generation technologies are witnessing a massive uptick in demand on account of a burgeoning world population and the rapid pace of urbanization and industrialization which have driven up the need for electricity significantly. This has stoked increasing investment in different power generation technologies. 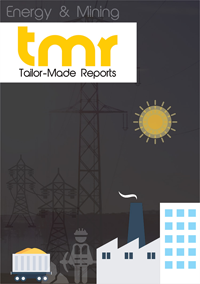 Other factors such as modernization of the current power generation infrastructure is also powering the global market. A few of the restraining factors hobbling the take-up of the top 10 power generation technologies are supply security, infrastructural worries, and price disparity across regional markets. Among the top 10 power generation technologies, the small wind market is slated to outpace all others in terms of growth rate in the foreseeable future. The U.S. and Canada present high growth opportunities to the small wind market on account of policy support, tanking cost of wind energy generation, and growing standardization. The micro CHP market is predicted to trail the small wind market in terms of growth rate. Again the U.S. and Canada offer high growth opportunities to the micro CHP market because of their efforts to reduce carbon footprints, favorable policies framed by the government, and autonomous heat and electricity generation at a lower cost. The micro turbine technologies are also anticipated to grow at a healthy clip along with the solar power technologies owing to environmental concerns primarily. At present, North America is the leading market for micro turbine with over half the share in it. Further, gas generators too are expected to see soaring demand on account of the pressing need for seamless and reliable power supply, strengthening healthcare infrastructure, rising demand for data centers and IT facilities, and rapid urbanization in emerging economies. From a geographical standpoint, Asia-Pacific is the primary market for most of the top 10 power generation technologies. This is mainly because of the spike in electricity consumption resulting in greater investment in power generation capacity, particularly in the fast-expanding populous and developing economies of India and China. Among the two countries, China is a major market driver on account of its industrial sector contributing more than 50% of its GDP. This has made China the most attractive market. To assess the competition prevailing in market for top 10 power generation technologies, the report profiles prominent names such as Siemens AG, Mitsubishi Heavy Industries, Ltd., Alstom S.A., Ansaldo Energia S.p.A, Caterpillar, Inc., and Cummins, Inc. Some of the common strategies adopted by astute players operating in the market are contracts and agreements, mergers and acquisitions, expansions, and product development.